UPDATE: Lebron James has now joined Twitter: @KingJames. Twitter hasn’t verified the account yet, but both Chris Paul and CNBC’s Darren Rovell has confirmed it is indeed him. One has to ask the question, will LeBron announce his decision via Twitter? @KingJames has yet to Tweet anything, but he already has over 42,000 followers, at the time of this writing. ORIGINAL ARTICLE: Sometime over the next few days, July 5th if you believe certain reports, LeBron James will break Twitter. No, I don’t mean physically break it, but his name alone will bring the microblogging site to its knees. In case you’re wondering what I’m getting at, LeBron James officially became a free agent last night at 12:01 AM; he’s free to sign with any NBA team. When he makes his final choice, Twitter should watch out because the sheer volume of Tweets, upon James’ signing, will send Twitter into full on Fail Whale mode. When LeBron finally decideds upon a team, do you think it will cause problems for Twitter? Let us know. 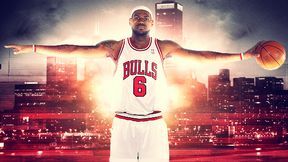 All jokes aside, LeBron’s free agency would be huge news without any extra media coverage, but when sites like ESPN.com create a whole “LeBron Tracker” page solely devoted to his free agency, the hype builds… and when you feature LeBron in Chicago and New York jerseys, that hype reaches a fever pitch. ”Where’s Dwyane Wade’s page? You know, the only player out of the “top free agents” who actually won an NBA title? While it looks like Wade’s staying in Miami, if James has own page at ESPN, Wade certainly should as well. Another thing, does this pave the way for future big-time free agents? Tom Brady’s contract is up next year. Will he be getting a page too?" 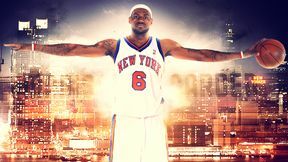 Currently the Cavs, Clippers, Mavericks, Bulls, Knicks, Heat, and Nets are all vying for James’ talents. With no clear frontrunner, it’s anyone’s guess where he’ll be suiting up next season. One thing is for certain though, people will be Tweeting about it and Twitter should brace for impact. Where do you think LeBron will be playing next year? Tell us what you think.